Stop buying pre-workouts that come in pink packaging. It's time you looked past the labels and checked whether products contain safe and effective ingredients. Sometimes you get back from work, sit on your couch and don't feel motivated. Whether it's because you've had a rough time at work, are looking after your children, or that you simply can't be bothered on that certain day - you could do with a bit of a boost. Well, these are the types of scenarios where pre-workout supplements are perfect. But, it's not quite as easy as searching on google and buying the first product you see. Ultimately, with so much choice out there, making the right decision can be a difficult task. Luckily, we here at LeanBulking.com are here to help you. 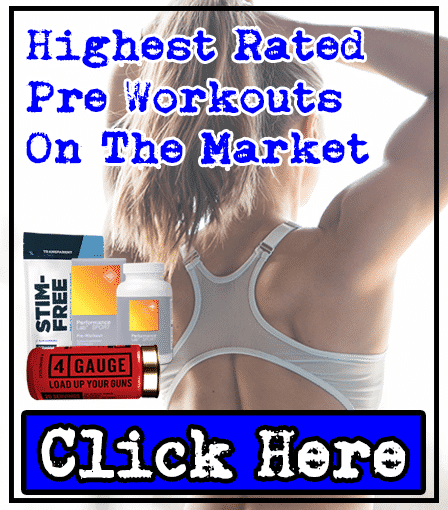 In this article, you'll not only find out what the best pre workout supplement for women is, you'll also learn some of the things you should look out for before hitting that 'buy now' button. Stimulant vs non-stimulant pre-workouts: which are better for women? Put simply, a pre-workout is exactly what you think - a supplement you take before working out (typically 20-30 minutes before your session). This is because these products are designed to increase your energy and endurance to help you get the most out of your workout. Essentially, after taking an effective pre-workout, you'll be able to train harder for longer - leading to improved results in less time. This means that you'll look better in a bikini, just look more toned, or build lean muscle - whatever your goal is, the best pre-workouts can help speed up the process. Sounds good, right - but what do you need to look out for? 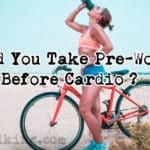 As we just mentioned, we're going to take you through the main benefits that you should be getting from a pre-workout that you decide to buy. One of the main reasons for taking a pre-workout supplement is to feel that 'kick' in your energy levels; this helps you make the most out of your session in the gym and see results faster when you'd otherwise be sat on your couch. Caffeine is undoubtedly one of the best ingredients to increase your energy levels. Everyone knows this, or coffee and tea wouldn't be so popular around the world! Basically, Caffeine gives you a boost when you need it the most - like we mentioned at the start, such as when you've had a long day at work or you've been looking after the kids and just don't feel motivated to work your booty off in the gym. In case you're wondering, the 'Anhydrous' simply means that Caffeine has been dehydrated into powder form so that it can be added to supplements (as almost all pre-workouts come in powder form). Be sure to take it easy with Caffeine Anhydrous, or you might get the exact opposite of what you want - experiencing an energy crash and wanting to go to bed early! We've tried tons of different dosages, and we feel that the max that you should consume is 150mg per serving; this gives you more than enough energy, without suffering jittery side effects. So when you're looking for a pre-workout supplement, try and find one that contains a maximum of 150mg (maybe 200mg if you drink bucket loads of coffee every day and are very tolerant to this stimulant). There are always days when you feel self-conscious. Maybe it's that spot that's just appeared on your nose or forehead, or that you're having a bad hair day. Well, this can all negatively affect your performance in the gym; it's not good worrying about what others are thinking about you, while you're building up a sweat. In short, everyone knows that you should be focused on your workout when you're in the gym. But it's not always that easy. However, once you've taken a pre-workout supplement, you'll set your sights on achieving a certain fitness goal. You'll forget about your surrounding and work harder than you ever have before. Basically, along with the extra energy, you'll be more focused to tone-up and fit into that dress you've always wanted - and make your booty 'pop' in those jeans! Listen, we know your goal isn't to grow huge muscles and compete with the guys on bicep size. If it is, then fair enough - we just know that most girls would prefer looking toned, curvy and with a round booty. Anyway, increasing your strength levels is going to help you reach your goals faster. You might not like this, but your favorite fitness model probably squats more than you think. In fact, if they've grown a great booty, then they'll have grown considerable amounts of muscle mass there; this is down to increasingly squatting more weight, coupled with a clean, high protein diet. Even if you want to lose body fat and tone-up, it certainly doesn't hurt to lift slightly heavier weights. Well, the best pre-workouts should contain the right nutrients to deliver enhanced strength and endurance levels; the best ingredient for this has been creatine for a couple of decades now. We still take Creatine Monohydrate, and it really does give us that edge in sporting performance - which obviously helps us stay trim when we want, and lift heavier weights when we set our goals to do it. You don't really expect to be able to reduce muscle fatigue and damage. You just accept that the next day or two after a hard workout is going to ache - but it doesn't always have to be that way. Why? Because if you choose the right pre-workout, it'll contain nutrients that are proven to reduce this benefit. Ultimately, this will help you perform at your best for longer while in the gym, and help you stay fresher for your next workout too - a win, win situation. Simply put, this means you'll be able to train at a higher intensity more often, without feeling the worst the next day. Unless you just skimmed past all of our juicy information, you would have learned exactly what you should get by taking a pre-workout supplement. In fact, if you buy a pre-workout and it doesn't deliver the benefits above, then sorry to tell you the truth, honey, but you've just wasted your cash - you'll be wishing you bought a chocolate bar instead, girl. Don't worry if you've been a victim in the past. We know we have. But that's why we're writing this article for you; we don't want you to waste your cash on useless supplements again. We've actually spent the last couple of years trying out all kinds of pre-workouts. From the ones that come in pink packaging, to the ones that are made 'exclusively for men'. And we've learned a lot - mainly that you shouldn't buy the ones aimed at a certain gender (in our honest opinion). However, along with bad experiences, we finally found and tested 1 pre-workout supplement that delivers the main benefits we look out for. And you'll be glad to hear that it's had good reviews from tons of male and female users. From first glance, we were slightly put-off trying 4 Gauge. This is because it comes in a shotgun shell container, which felt really 'masculine'. Felt more motivated to work our booty off in the gym – We had no motivation issues after taking 1 scoop of 4 Gauge. Had no self-confidence issues and didn’t mind sweating in front of guys at the gym – The gym can be a scary place if you let it be, but when you start working hard, you’ll notice everyone is working towards the same fitness goals as you and are also in pools of sweat! Set more goals and actively worked towards them – We found it easier to set a certain number of reps and sets to work towards, and 4 Gauge actually helped us overachieve on them. Didn’t suffer from low energy levels or energy crashes – 4 Gauge delivered the right amount of energy for us to smash our workout, without keeping us up at night afterward. Anyway, we were originally attracted to 4 Gauge because it contained all the ingredients that we look out for. 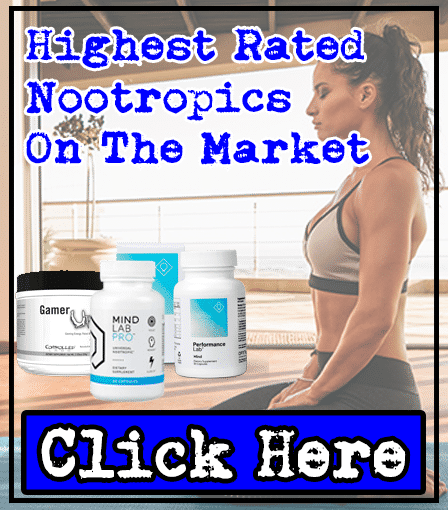 A 150mg dosage of Caffeine Anhydrous raises your energy levels without going over-the-top, 1,000mg Creatine Monohydrate allows you to work your booty off for longer, while 500mg L-Carnitine is scientifically proven to reduce muscle fatigue and damage - not bad, huh? Not only that, the real 'bonus' about 4 Gauge for us, is that this pre-workout contains L-Theanine, which is proven to work in synergy with Caffeine - to further protect you against jitters and energy crashes, while still benefiting from increased energy and endurance levels. Ultimately, while 4 Gauge's container might look slightly 'masculine', who says girls can't handle a shotgun anyway?! 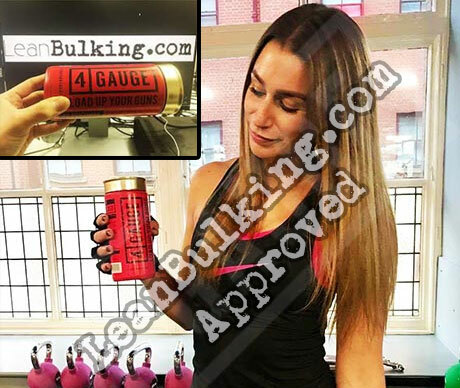 For us, we prefer to stay away from 'feminine' looking pre-workouts anyway, and after helping us improve our performance in the gym and improve our figure, 4 Gauge has become our #1 pre-workout supplement for women. We always like seeing how other people reacted to a certain supplement before trying it ourselves. For example, if you read that something causes regular side effects in other people, it's going to be less likely that you try it out. "I’ve been training for a long time and tried a million supplements for different things. Normally I use pre workouts 3 times per week. This helps me avoid crashes and still get best results from them. "Straight away I was drawn to 4 Gauge, ingredients wise it’s the cleanest pre workout I’ve seen and it’s packaging is certainly striking. No artificial sweeteners and minimal calories. 5 per serving. "What can I say, 4 Gauge blew me away. I felt so energised and powerful, but not shaky and itchy, it made me go a few extra sets in the squat rack that’s for sure! "You feel like you could keep pushing the weights for hours and actually feel the muscle working. It feels incredible! "I’ve made some good progress on my physique and for the last few months I’ve only been using 4 Gauge as my pre workout. 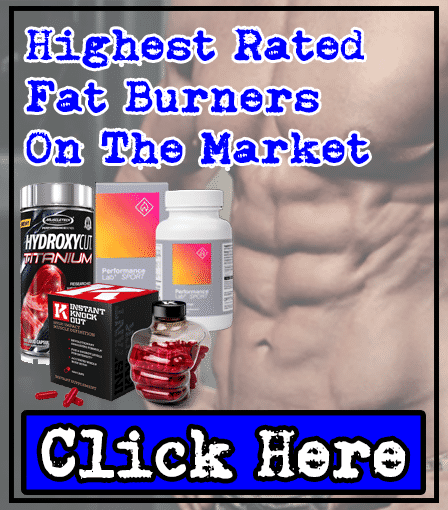 "It’s helped my with both HIIT training and weight training. And even powered me through a couple of gym classes. "I’m not normally one to write reviews online. But ladies, this pre workout rocks and is now an essential part of my stack." Stimulants are great for boosting energy, which means they're commonly used with pre workout supplements. 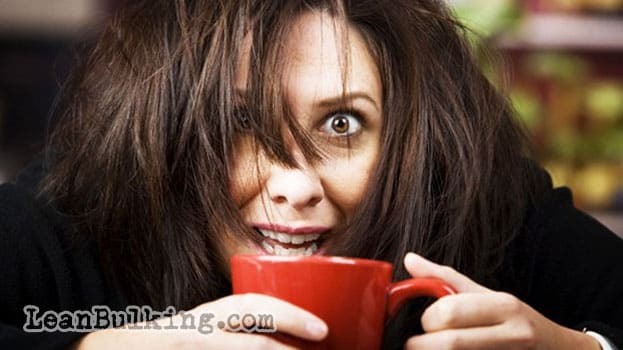 However, many women have had bad experiences after consuming too much; this is exactly why we've recommended that you consume a maximum Caffeine Anhydrous dosage of 150mg per serving. As a result, a popular question is: should I take a stimulant or non-stimulant pre workouts - which are the best option for women? Well, Stimulant pre-workout supplements can be a great option as they provide a boost of energy throughout your workout. As well as giving you that 'kick' to get into the gym in the first place! Ultimately, you're not going to get that energy boost with non-stimulant pre-workouts. The bottom line is this; stimulant based pre-workouts are the way forward - they provide an energy boost while non-stimulant based pre-workouts don't. As we've already mentioned, Caffeine Anhydrous is a fantastic supplement which can give you an effective boost of energy. When consumed in a maximum dosage of 150mg per serving, this can provide you with the energy boost you need minus the unwanted side effects. So there's no reason to be scared of a stimulant pre-workout supplement. Just be sure to check the overall dosage of stimulants in the product before you buy it. Now that you know what to look for in pre-workout supplements, it's equally as important to know what to avoid too - in order to stay safe, ensure you buy an effective pre-workout that doesn't cause unwanted side effects and get the best value for money. For this reason, we'll take you through the main 'red flags' to watch out for, on your search for the best pre-workout for women. This is more important than you think. Being female, I know how easy it is to choose the pink products in a market generally filled with 'masculine' looking products. 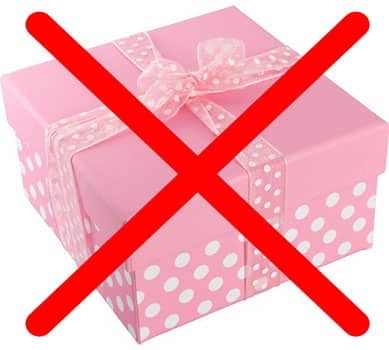 However, choosing one that specifically targets females by coming in a pink container or packaging is a seriously bad idea. I've had a look at some of the supplement facts (ingredients) in some of these products, and companies really do rely on pink packaging to sell the product - instead of adding the most beneficial ingredients possible. Ultimately, the packaging can sometimes fool its potential buyers into making them think that it is ideal for women. But, always remember this; it's the ingredients inside the product itself that matters the most. Two ingredients which are commonly used in pre-workout supplements are Betaine and Choline. However, that isn't really a good thing. Why? 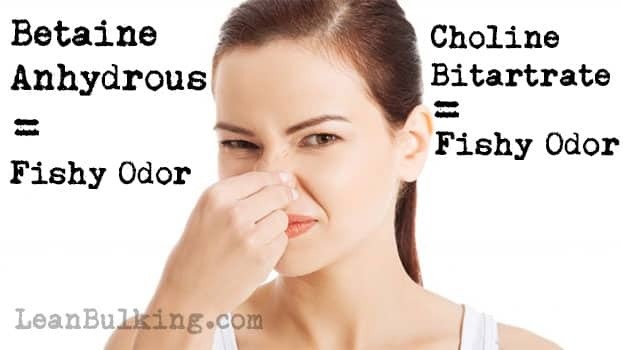 Because both of these ingredients have been known to cause 'fishy odor' both in the breath and when sweating. This side effect is officially known as 'Trimethylaminuria'. While this side effect isn't necessarily harmful, we're pretty sure you don't want to be wandering around the gym smelling fishy! So, when making your choice for a pre-workout supplement, ensure you avoid any products that contain these ingredients. When looking at ingredients for a pre-workout, Yohimbe is one which should be avoided at all costs. Numerous studies have proven that Yohimbe causes various unwanted side-effects. Particularly when consumed in high doses, Yohimbe has been known to cause loss of muscle function, chills, and vertigo - amongst other things. That doesn't really sound too appealing now, does it? You're taking a pre-workout in order to boost your performance in the gym, right? But, the unwanted side effects caused by Yohimbe means it just isn't worth the risk. Just like Yohimbe, Bitter Orange Extract is another ingredient which you should steer clear of in your search for the best pre workout supplement for women. 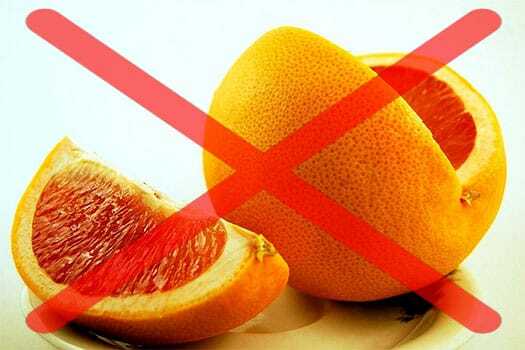 Bitter Orange Extract is an ingredient which is commonly seen in weight loss supplements. However, it contains an ingredient called 'synephrine' which is similar to the dangerous ingredient known as ephedra. If that's not a reason to steer clear of this potentially dangerous ingredient, then we don't know what is! Whilst Caffeine Anhydrous is undoubtedly a good ingredient to have in a pre-workout supplement, an excessive dosage of the ingredient can do the exact opposite of what you want to happen. Instead of providing a boost of energy, you can encounter energy crashes, as well as jitters which really isn't ideal when you're trying to obtain results in the gym! Beta-Alanine is used within many pre-workout supplements. However, it is an ingredient which you should approach with caution due to the tingling sensation that it's been known to cause. When looking for the best pre workout supplement for women, you should ensure that if beta-alanine is contained on the ingredients list, its dosage level per serving isn't too high. In turn, this will help you to avoid the tingling side effect. Some pre-workouts contain what's known as 'proprietary blends'. Simply put, this is when companies hide the individual dosages of ingredients by adding all of them into a blend that only contains the overall amount of several nutrients; this is particularly bad when these blends contain stimulants (as taking unknown dosages of stimulants can lead to jittery side effects). In our expert opinion, it's always better to know exactly what you're putting into your body. So we personally only chose pre-workouts that fully list each ingredient and is completely transparent - complete honesty from the company to their customers is key. So, there you have it! By now, you should know exactly what makes the best pre-workout supplement for women. 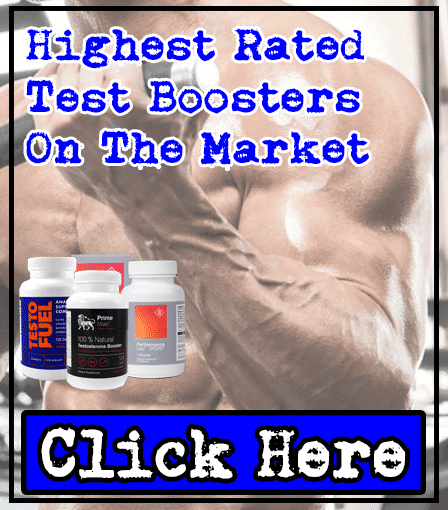 From reaching your fitness goals more efficiently to increasing your self-confidence - there are many benefits to consuming the right pre-workout supplement. However, choosing the wrong one can jeopardize your results, be a complete waste of cash, or even put your health at risk - it just isn't worth it, so do your research! Ultimately, a combination of effective ingredients that have been proven to work can improve your results in the gym without the need to worry about any side effects. For us, 4 Gauge is the best pre-workout for women that we've tried after years of testing supplements. Don't forget that a sensible dosage of each ingredient is also important too, particularly with a stimulant such as caffeine. Get your dosages right, and the results will soon start to show, and jitters and energy crashes will be a thing of the past!